Track collections by collections category. System automatically updates claim status as claims and payments are sent and received by primary, secondary, and tertiary payers. 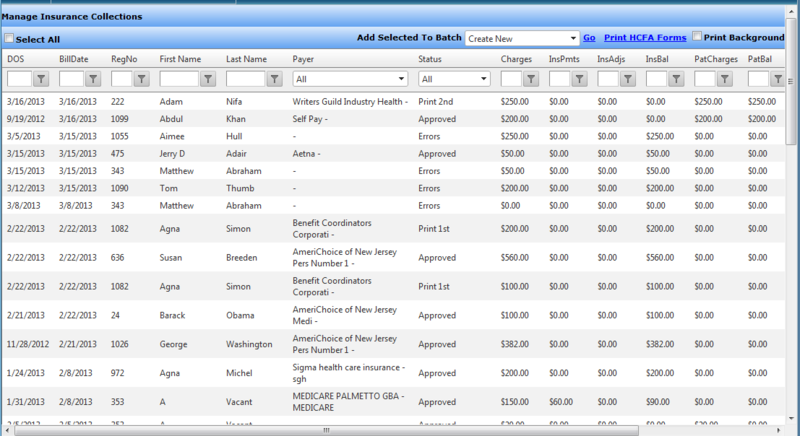 Track and list invoices by category, days in a category, and balance amount. Print or electronically send invoices individually or in batch. Track collection calls and make notes. Displays key patient and guarantor information, patient balance, and next appointment to alert front desk that the patient has a balance.